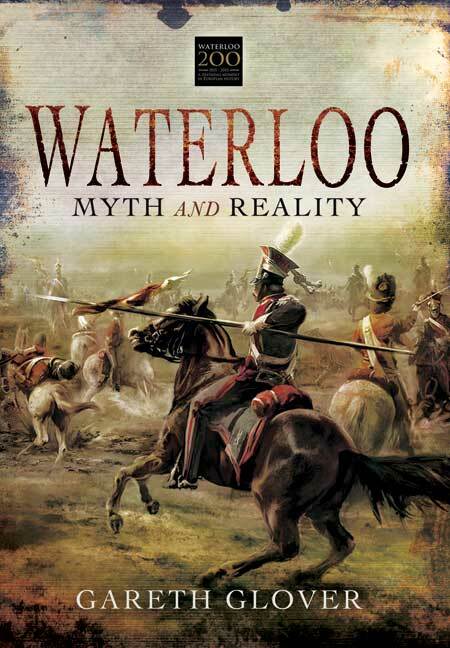 You'll be £25.00 closer to your next £10.00 credit when you purchase Waterloo Myth and Reality. What's this? 'I have no hesitation in recommending this book to anyone who wants to know more about Waterloo, with the bicentenary due next year. It is also good for reminding us that this was the culmination of what was a World War, even THE Great War for the people who lived through it. In proportion to populations, the devastation it caused was on a par with the conflicts of the twentieth century. More has probably been written about the Waterloo campaign than almost any other in history. It was the climax of the Napoleonic Wars and forms a watershed in both European and world history. However, the lethal combination of national bias, wilful distortion and simple error has unfortunately led to the constantly regurgitated traditional 'accepted' version being significantly wrong regarding many episodes in the campaign. Oft-repeated claims have morphed into established fact and, with the bicentenary of this famous battle soon to be commemorated, it is high time that these are challenged and finally dismissed. Gareth Glover has spent a decade uncovering hundreds of previously unpublished eyewitness accounts of the battle and campaign, which have highlighted many of these myths and errors. In this ground-breaking history, based on extensive primary research of all the nations involved, he provides a very readable and beautifully balanced account of the entire campaign while challenging these distorted claims and myths, and he provides clear evidence to back his version of events. His thoughtful reassessment of this decisive episode in world history will be stimulating reading for those already familiar with the Napoleonic period and it will form a fascinating introduction for readers who are discovering this extraordinary event for the first time. It is not a large book, only 245 pages, but of well written engaging text. The sixteen pages of illustrations are superb. The book to read if you only have time to look at one of the many new offerings on Waterloo - succinct, sharp and utterly destructive of many of the sillier theories that have been advanced about the Waterloo campaign. This book is a major reassessment of the Battle of Waterloo, using first-hand accounts not published before, to address the many myths and provide reality. There is much fine illustration in the form of maps and colour plate sections. An enjoyable and informative review of the battle that shaped Europe for the next two centuries. Waterloo 200 has generated a mixed crop of new Waterloo titles - thankfully this one sits comfortably above the quality line. It is exceptionally well illustrated using contemporary and modern artists to bring the battle to life. A generous spread of good, clear maps, and some genuinely interesting historical vignettes engage the reader and deliver the complexities of the battle in easily digestible bite-size chunks. There is a healthy helping of myth challenging and busting too! Worth investing in a copy. Gareth Glover has published many years of hundreds of unpublished testimonies on the Waterloo campaign. This work reconstructs the events of the campaign, the fates of the protagonists, while presenting monuments, buildings and historical places. As the work of an author who over the past few years has published a seemingly endless stream of diaries and memoirs written by the soldiers who served under Wellington, not to mention several volumes of letters and other personal accounts specifically relating to the great contest of 18 June 1815, Waterloo: Myth and Reality was always likely to be among the better examples of the bicentennial literature.... [It] is a solid contribution to the literature, and, in addition, a book that can be enjoyed for its own sake. Gareth Glover and Pen and Sword alike, then, are to be congratulated. Experienced author Mr Glover offers a radical re-assessment of the history of the Waterloo campaign, dispelling the myths and misunderstandings associated with the battle and presents for the first time extracts from newly discovered first-hand accounts, based on his extensive research in British and continental archives over a 10 year period. In doing so he provides a very readable and balanced account of the campaign while challenging the claims and myths, supporting his views with clear evidence. This is fascinating stuff and the author's work will surely be a most useful addition to the Waterloo - and indeed Napoleonic - bookshelf. Recommended. A well researched and written account of the battle of Waterloo, as one would expect from someone of Glover's calibre. The book covers the period from Napoleon's exile to the fall of Paris although the meat of the book covers the 16-18 June 1815 events and there is only a brief description of the battle of Wavre. These events, however, are what most people are interested in and Glover makes a fine job of detailing the action by treating each as a separate piece of the whole. This way he provides a description of the events at Hougoumont and La Haie Sainte separately, for example, so that the day long struggles can be seen as one long action rather than jumping for site to site. It's an interesting way of presenting the information and the context of what else is happening on the battlefield is not lost. There are also a number of side boxes which provide extra information on aspects of the events which would otherwise spoil the flow of the narrative. Glover occasionally wanders into opinion rather than fact, he is no fan of Bonaparte, but this is rare and not intrusive. Much of his research is also available in his collections of Waterloo correspondence and this book neatly brings together the various viewpoints. In this way the book does not follow the old fashioned British Redcoats at Bay narrative or even the modern German/Dutch nationalist revisionism but puts forward a fair and balanced view of an allied victory without singling out villains for approbation; this has plagued many a recent 'history' of the period. A superb book, well researched and elegantly written. If you want to buy any of the recent offerings on the battle, this should be top of your list. [A] superb explosion of literally dozens of myths about the campaign. Gareth Glover's Waterloo, Myth and Reality is by far and away the best book on the 100 Days that I have ever read. Andrew Roberts is entirely right in his review, even down to the mild criticism at the end. We so need a lot more books like this, on all apects of the Revolutionary and Napoleonic Wars. The book is easy to read and full of interesting information. Not everyone will agree the author's views but they are thought-provoking. Recommended. By painstakingly connecting the original sources together, using the expertise of 40 years' study of the battle, and also employing a good deal of military knowledge and common sense, Glover radically reinterprets the evidence to piece together what really happened. I have no hesitation in recommending this book to anyone who wants to know more about Waterloo, with the bicentenary due next year. It is also good for reminding us that this was the culmination of what was a World War, even THE Great War for the people who lived through it. In proportion to populations, the devastation it caused was on a par with the conflicts of the twentieth century. If you are already an enthusiast for the period, then I have no doubt that you will find this a challenging and fresh portrayal of 1815. I suspect that you will also find it highly convincing. The truth is far more interesting than the myth, for it has just as much drama and the greater ring of truth.